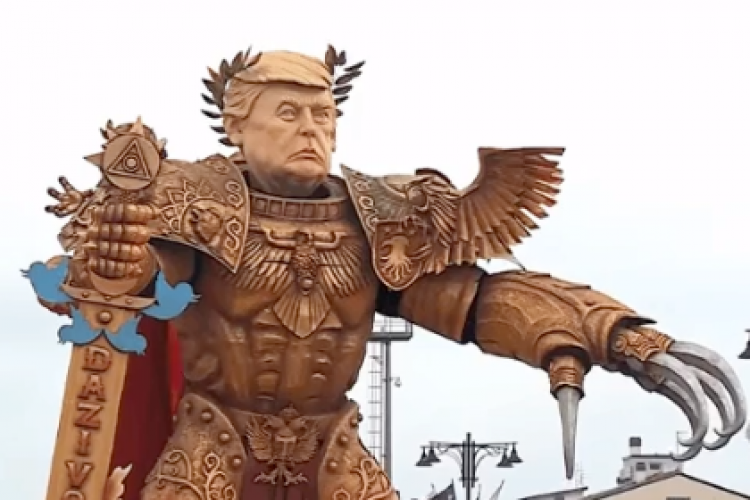 As a part of the annual carnival procession in Italy, US President Donald Trump appeared in the iconic character from the Warhammer 40,000 universe. It typically depicts the emperor as a walking epitome of epicness & unparalleled power. The colossal float of Trump conveyed the same message. He was clad in shiny golden armour, with a regal look in his eyes. This took place in a small town of Viareggio in central Italy.